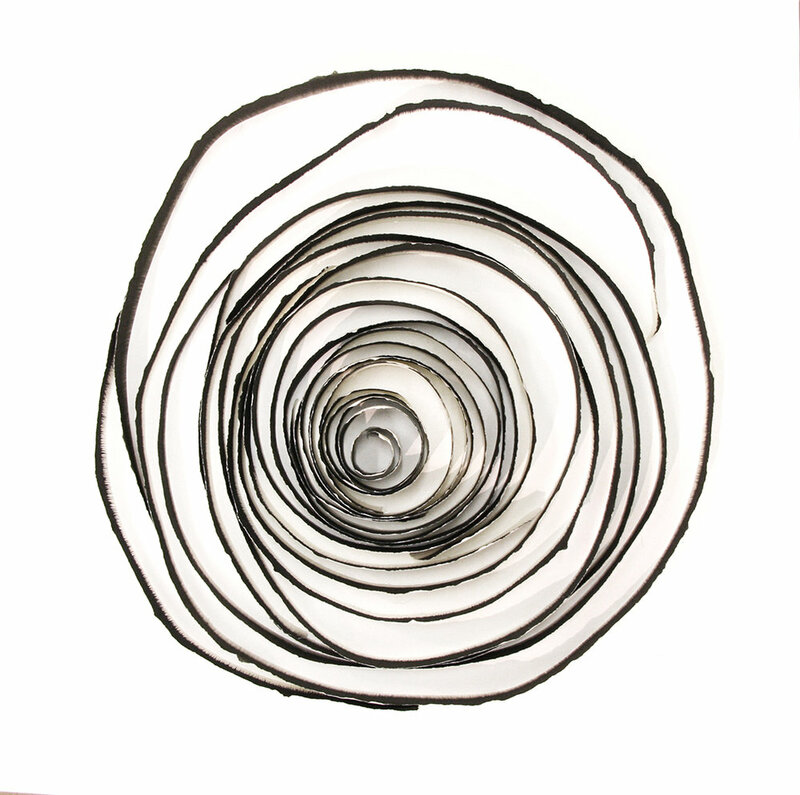 The Edge Spiral Series examines the tactile and sculptural qualities of paper. Paper is inked and torn by hand. The unique curl of the paper is allowed to express itself as a 3D drawing.